Styled with vonda sweater and patti short . 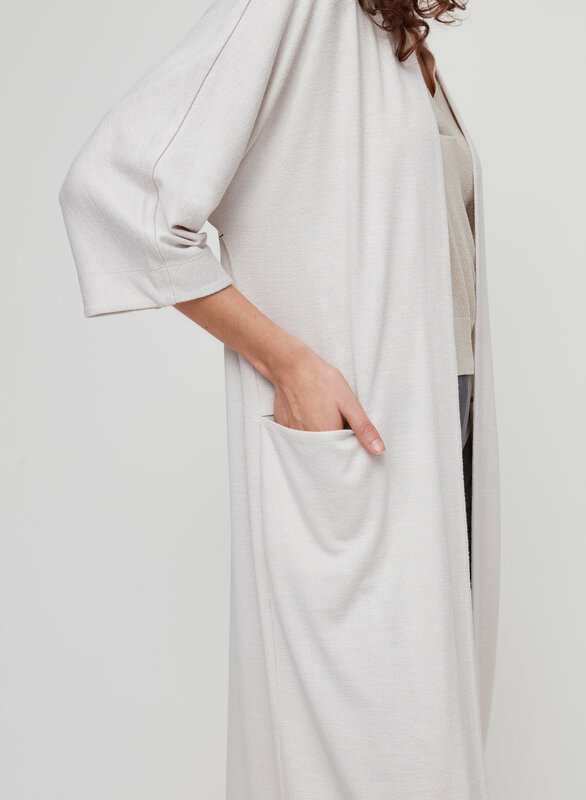 This is a roomy cardigan made with Wilfred Free's signature Reposa™ fabric, a soft jersey knit that drapes beautifully. This version of the Zlata is longer than the original. Perfect lazy jacket. Can style up or down. Fabric got caught in the tag so there’s already a snag. Goes with most things, love it. I have Zlata in almost every colour! 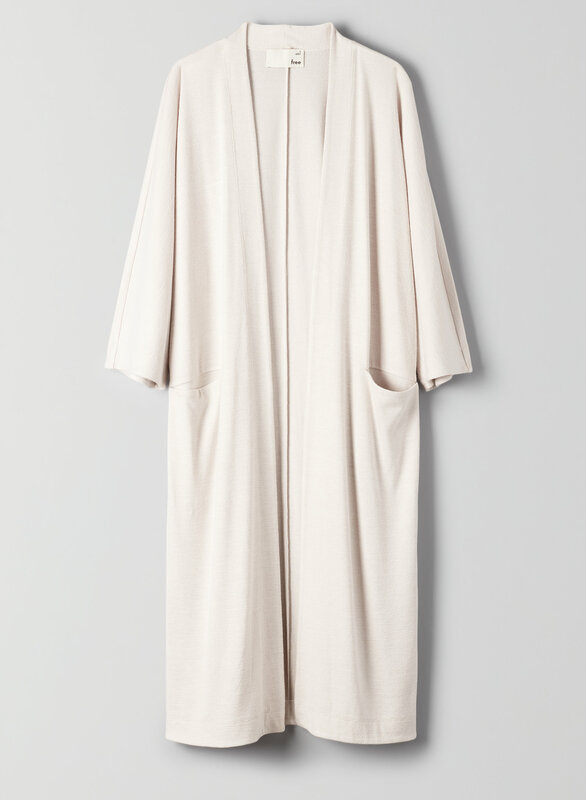 Spring or fall (or a cool summer day) - this piece is an awesome closet investment. 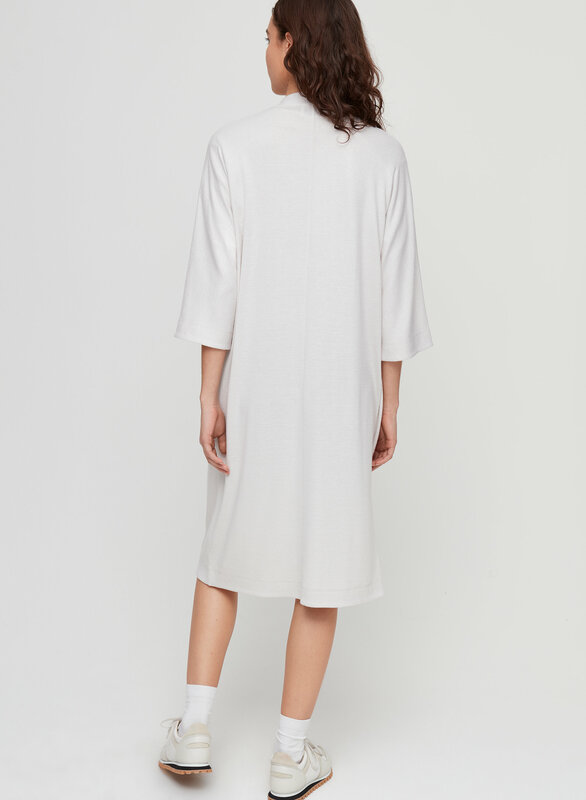 It does run a bit oversized, and you can go down a size comfortably (but is worth trying on in person to see what you prefer)! I love the versatility of this garment. It's so comfy that I can nap in it without having the fabric bunch, seems digging, or getting overheated. Yet it's nice enough that I can wear it out, like on the model or wear it with jeans for errands. The material is soft and bouncy that you don't feel like it's wearing you down while on the go. Great sweater. Soft, nice length. Would have gone one size smaller. Obsessed I want it in every color! Soft and chic. Looks great with any outfit.